Customer service is an important part of the customer experience. The customers’ journey doesn’t end when they make a purchase and offering stellar customer support is how you keep customers happy with your products, services, and brand as a whole. Whether you are a small business operating from home or a big corporation with multiple support teams, customer service can still be a challenge, especially when you have a lot of customers to cater to. This is where automation comes in handy. Modern support systems now automate various tasks, including responding to your customers directly. 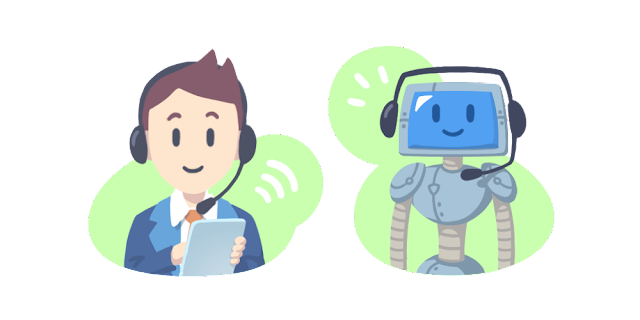 What is customer support automation exactly? How can it help your business? We are going to answer these questions in this article. Artificial Intelligence or AI has completely transformed the meaning of the word “automation”. A few years ago, automation involved converting repetitive tasks into macros or actions and running those actions to simplify things. AI goes far beyond macros. AI-backed automation can handle even the most complex task without human input, all while learning about how to complete the same task in a more efficient way. The more AI is used, the more capable it becomes in automating the tasks it handles. The implementation of AI in customer service can be seen everywhere. Chatbots now take the place of human support officers and can respond to customers directly. The use of AI makes it possible for small and medium-sized businesses to offer 24/7 support, all without expanding the support team. Looking further into the use of chatbots in customer service, there are some interesting use cases to consider. In most cases, AI is used to interact with customers in the form of bots that respond to customer chats or support requests. The bots are now so smart that they can deliver personalized customer service like human support officers. The chatbots are also integrated with other solutions, including a web-based helpdesk system and a comprehensive CRM solution. 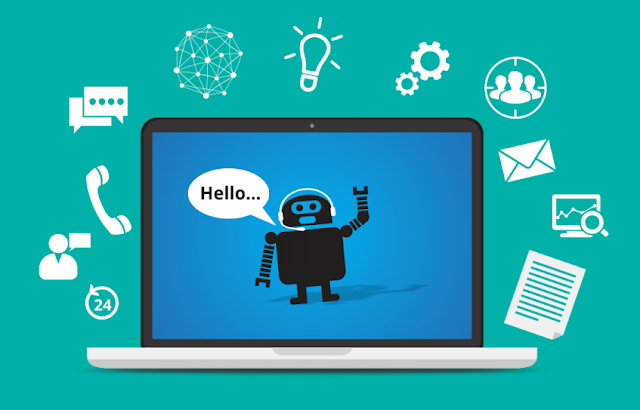 Bots can pull data from these systems to immediately get to know the customer, and then store information from that interaction to these systems for future use. While the bots and the AI behind them are very capable, there are still times when they do not know how to respond. This is where things get interesting. 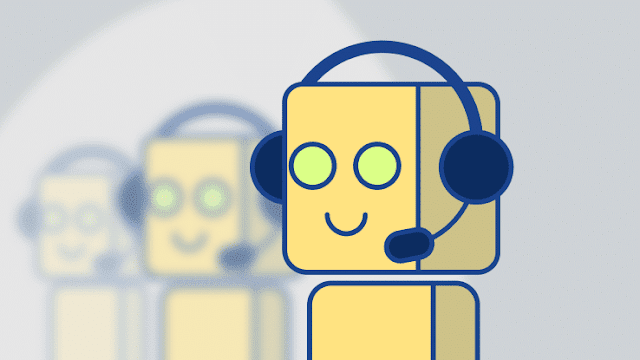 Rather than having support officers sit in front of a computer or be on the phone with customers all day, you can now use AI and chatbots to automate the basic customer support functions. When chatbots cannot find a suitable response, however, that customer is forwarded to a support officer immediately. The transition from a chatbot to a support officer happens seamlessly. The support officer will already have the customers’ information on the web-based helpdesk interface, allowing that support officer to continue delivering a positive customer experience in an equally seamless way. For customers, this means they can expect excellent customer service every time. Automation goes deeper than that too. Almost every task imaginable, from converting support emails into tickets to recognizing Twitter mentions that need to be replied by a support officer, can be automated with the help of AI. The result is clear; a small business with even the leanest team can still offer great customer service to hundreds – if not thousands – of customers at the same time with the help of AI and automation in customer service. Automation is certainly the way forward. It will be interesting to see the approach being implemented to the rest of the customer service experience.